India's biggest tax reform since Independence, GST will be launched across the country at midnight. Entrepreneur Kiran Mazumdar Shaw is the chairperson of Biocon. 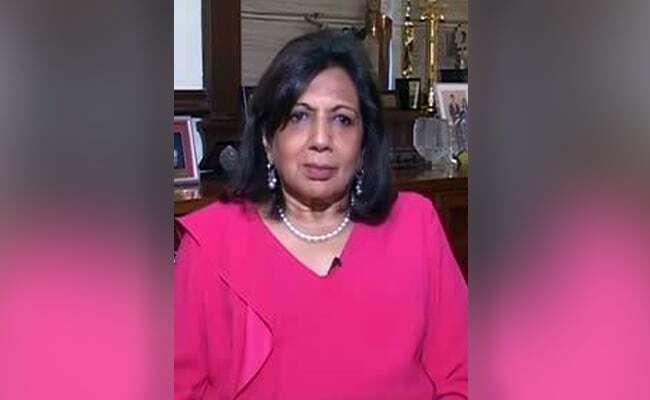 New Delhi: Biocon chairperson Kiran Mazumdar Shaw has said that even though the GST or Goods and Services Tax was a path-breaking reform, the manner in which it was being launched was cumbersome. India's biggest tax reform since Independence, GST will be launched across the country at midnight, unifying the nation into one market with standardised taxes. "There's no doubt about it that this is the biggest bang reform that we have long been waiting for," Ms Shaw, a widely-respected entrepreneur, told NDTV in an interview. "We don't really need to start with the perfect GST rollout... but we could have actually come out with a very simple GST rollout," she said. "Why have we made it so complicated that we have so many people getting worried about how we are going to roll it out? Why are so many sectors worried about how they are going to deal with the GST rollout? I think it could have been made far simpler," Ms Shaw said. While the GST has been praised as a move that will bring millions of new firms into the government's tax net, its complex design including four separate rates and compliance processes have drawn criticism. However, Ms Shaw expressed hope that the initial hiccups - which even the supporters of the move have conceded - will be ironed out as the government revises the provisions. "I am happy to hear some of the people saying that look we are going to deal with the anomalies... the government is going to keep fixing the problems as it evolves. I am happy to hear all that," Ms Shaw said.